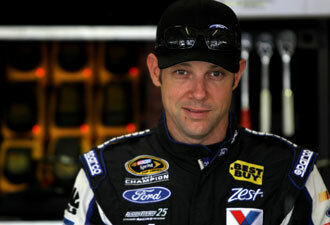 Marking an end to the worst-kept secret in NASCAR this season, on Tuesday Joe Gibbs Racing officially announced that former Sprint Cup champion Matt Kenseth will be joining the team as the driver of the No. 20 Home Depot Toyota. Kenseth had made known his intention to leave Roush Fenway Racing for several weeks, and while he indicated at the time that he already had a deal in place, that deal was kept quiet. The likely reason involved Joey Logano, who is reported to be on the move to Penske for next season. While Gibbs has, in the past, aired the possibility of fielding a fourth team in addition to Kyle Busch and Denny Hamlin, the caveat was what it always is: sponsorship. Apparently the sponsorship deals were not sufficient to warrant keeping Logano. Kenseth himself has been the subject of sponsor difficulties despite the fact that he's a past champion and one of the most reliable drivers on the circuit. He was one of the first to clinch a berth in this year's Chase, and while his performance has slowed somewhat in recent weeks, he remains a threat to unseat Tony Stewart as champion simply because of Kenseth's ongoing consistency. At Gibbs, Kenseth will join a team in transition, one actively trying to return to the championship ranks while holding off charging competitors like Michael Waltrip Racing and Penske Racing. Gibbs only has one driver, Hamlin, locked into the Chase, with Kyle Busch a strong possibility to make the jump this weekend. He'll also bring a higher profile to the No. 20, which had faded to the middle of the pack under Logano after being dominant for most of the 2000s under Stewart. Your thoughts: a good move? The right move? The floor is yours.